Shear Transfer Diaphragms are designed to attach a new shear wall to the floor joists above it. A properly built foundation and shear wall can absorb a lot of force, so it is necessary to connect the shear wall to two or even floor joists rather than just one. I am sorry, all I have is this crazy impossible to understand drawing but I simply don’t have any photos. 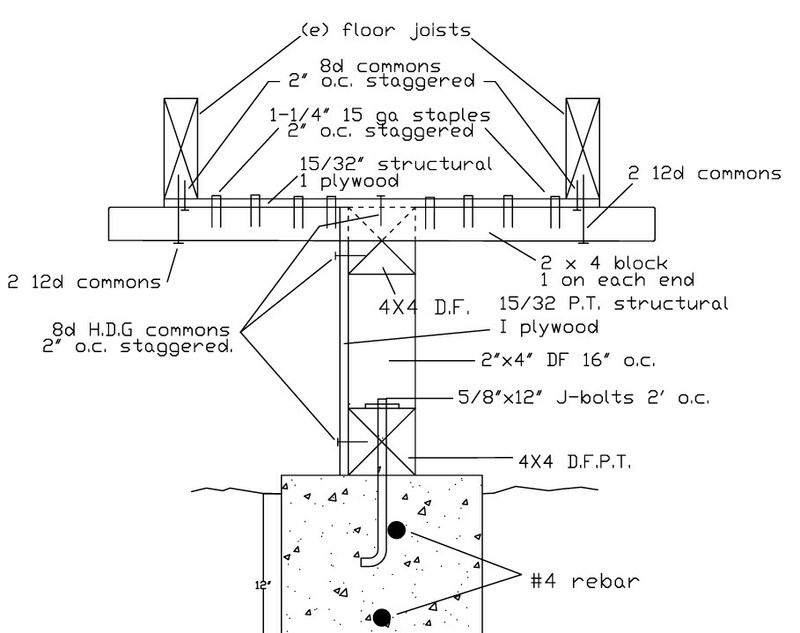 The floor to joist connection is not a problem based on the Historic Building Code table below, even if the shear is only attached to one joist, but it is always best to be safe and attach the shear wall to two joists as shown above. 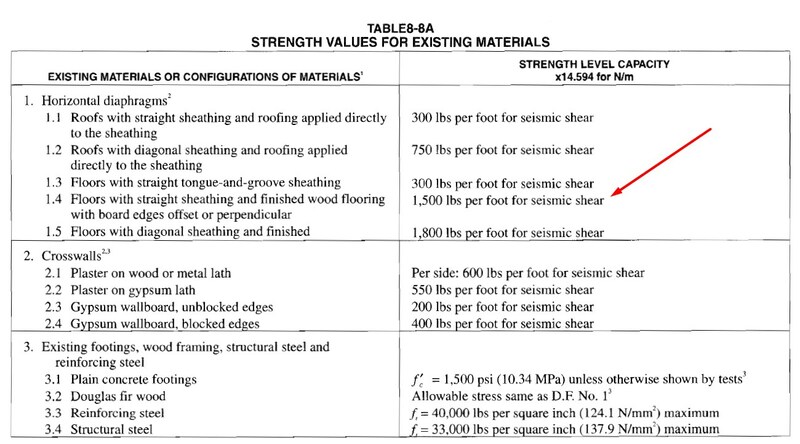 Using this table, you can figure out the capacity of the floor-to-joist connection by multiplying the length of the floor joist by 1500 per linear foot. For example, if you have a floor joist 24 feet long, it will have a capacity of 36,000 pounds. If your new shear wall and foundation can absorb more than 12,000 (not very likely), you certainly want to use a Shear Transfer Diaphragm and connect your shear wall to more than one joist. 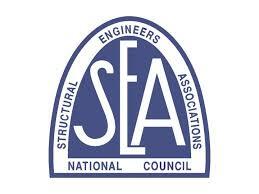 That way the new shear wall will be forced to absorb as much force as it possibly can. As a side note, there is not one documented case of a subfloor becoming detached from the floor joists. As mentioned earlier, there is no way to know how well the floor is nailed to the joists so it may be a good idea to use a Shear Transfer Diaphragm just in case. If part of the floor has been removed and replaced with plywood it will be necessary to use shear blocking. In any event, the existing floor you walk on to floor joists connection should be sufficient.